I add the good fortune of attending a track event with Chin Motorsports at Road Atlanta this fall. I was of course there with my Porsche 944 track car. I always keep an eye out for other 944s that show up for these events. 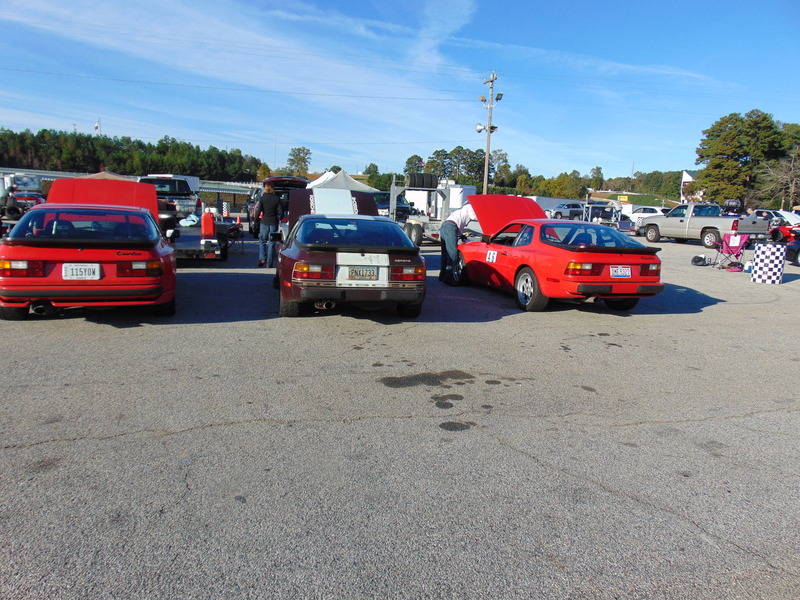 My attention was drawn to 3 nicely prepared 944s parked just a little bit away from my pit location. Two bright red cars flanking a maraschino car with a bold white stripe. It turned out that the maraschino car belonged to a prior track acquaintance, Ali Gibson. This time she had brought the family, namely her dad Jim and her brother Jay. A family of track rats, it seemed. I talked to the Gibson family at length and found out some interesting facts. Brother Jay had been the first in the family at trying out DE’s, having found that his prior hobby of riding motorcyles might not be the best form of risk management. Because, like me, Jay is a mechanical engineer and we tend to think about things like that. So he moved up to 4 wheels. Jay has been doing DEs for over a decade. At some point, he decided to give his dad a present. The present was a track weekend. Before he knew it, poor Jim was also hooked. Ali got started around the same time. I’m not sure if it was a conscious decision but all 3 wound up with 944s. All are track prepped but still street legal. Jim is a retired pharmacist. He and Jay enjoy doing the wrenching. While I visited before their first sessions on Sunday, I noticed a distinct amount of rigor, as all 3 were busy checking fluids, lug nuts, tire pressures, and getting the overnight dew off the glass. 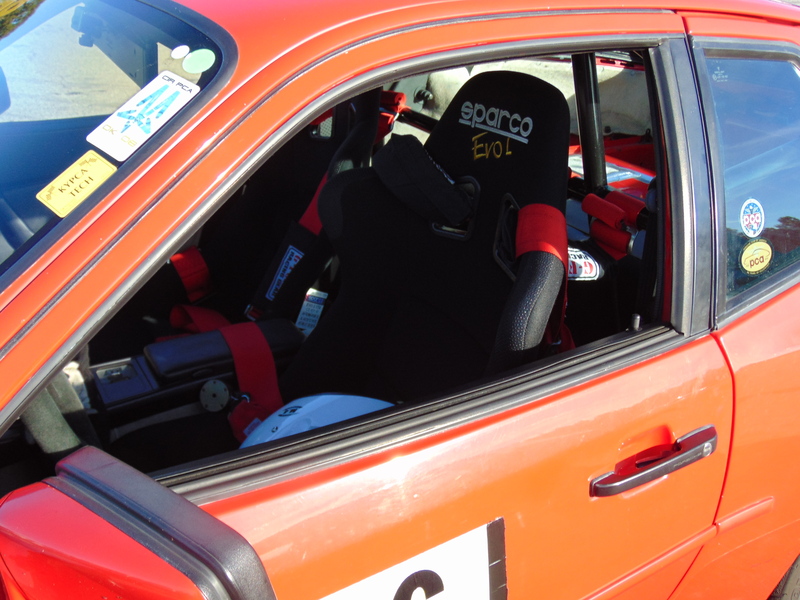 Ali has a 1987 normally aspirated 944. Jim has a 1986 951 turbo. Jay has a 1986 European spec 951 turbo. Jim and Jay are based in Ohio and had towed their cars down just for this event, the first time at Road Atlanta for both of them. Ali lives much closer by, in suburban Atlanta, where she is a consultant to pipeline companies regarding their regulatory obligations with government agencies. It sounded like between the 3 of them they had attended well over 100 track days. Being from Ohio, Jim and /or Jay had run at Mid Ohio, Putnam Park, VIR, Road America, and Autobahn. Ali can add Barber to that list. And now all three have Road Atlanta crossed off their bucket lists. I asked what was their most memorable track moment. Ali stole the show. It seems that at her very first track event she fell into a ride-a-along in a Porsche Carrera GT! I think its safe to say that she may never go that fast again in anything that doesn’t have wings. 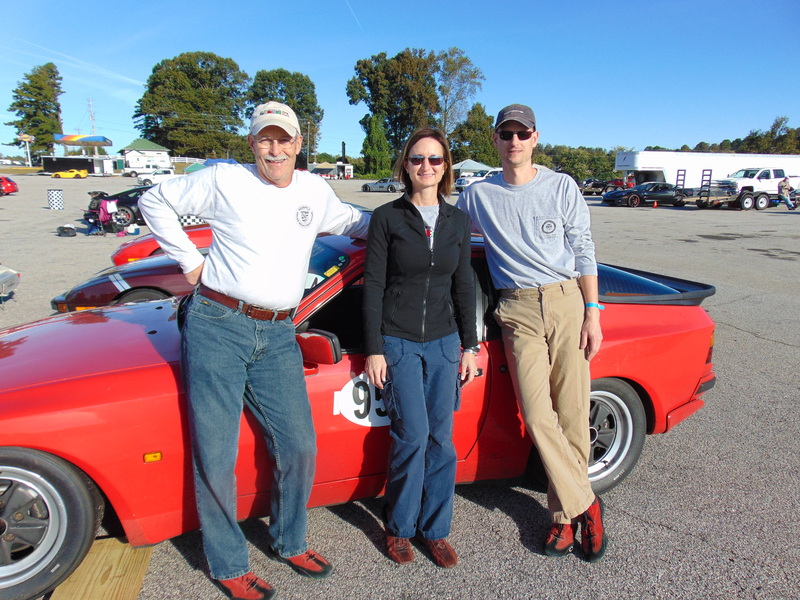 It was fun chatting with the Gibsons about their car passion, especially as they were true blue 944 fanatics. We all hope to meet again at another track event soon.